Plans are underway to build a new hotel at 33rd and Chestnut streets that will replace the University’s James E. Marks Intercultural Center. This project is expected to take two years to complete once board approval has been received and agreements have been signed. Although Drexel University already received board approval in May 2013, it is close to reaching an agreement with a selected hotel operator and builder. Currently, there is not an agreement with a hotel operator or builder, nor is there final board approval. Drexel’s Master Plan includes more than one hotel. “One of the original locations, going back a number of years, was at 30th and Market. That project is not being considered right now. For the last two years, the Master Plan has included a small boutique hotel at 33rd and Chestnut,” Robert Francis, vice president of University Facilities, said. “For a very long time, we wanted to have some place for visiting faculty, parents, dignified guests and other people to come and stay at a Drexel facility to do their Drexel business,” Francis said. Francis stressed that the hotel will not be a chain hotel but will instead be a University-oriented hotel with a study-like atmosphere. According to Francis, the hotel will include conference facilities. 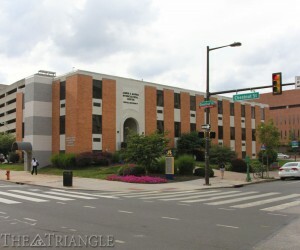 The James E. Marks Intercultural Center currently serves as the home of the Office of Equality and Diversity, the Interfaith Council, the Student Center for Inclusion and Culture, and the Study Abroad Office. Features of the Intercultural Center include a seminar room, a Muslim prayer and reflection room, an interfaith chapel, an exhibition gallery, a resource center, an activity room, and a kitchen. The center opened in 2011, and most of its offices will soon be relocated to the lower level of the Paul Peck Problem Solving and Research Center, located at 33rd and Arch streets, which currently houses the Laurence A. Baiada Institute for Entrepreneurship. Francis noted that not necessarily all components of the Intercultural Center will be moved to the basement of the Problem Solving and Research Center; some may relocate to other floors of the same building. Other components may relocate to buildings across campus. The Baiada Institute for Entrepreneurship will relocate to Gerri C. LeBow Hall, which is scheduled to open in the fall. Regarding the proposed Intercultural Center relocation to 33rd and Arch streets, “It’s a great location and a very short distance for students to travel to have those services available,” Francis said. “Conversations regarding this change have been going on for a year with all parties that make up the Intercultural Center,” Tatiana Diaz, director of the Student Center for Inclusion and Culture, wrote in an email. Diaz acknowledged that the change could possibly present difficulties. “It is our hope that this new location will allow for better access to students, as we will be closer to the residence halls and recreation areas,” Diaz wrote. Though the upcoming hotel at 33rd and Chestnut is currently the only confirmed hotel project, the University is open to opportunities for more campus hotels. “We are studying the use of property between here and 30th Street Station. We’re conducting a study in conjunction with Amtrak to see how property will develop around here in the future as the station expands and as high-speed rail comes to Philadelphia. There certainly could be a hotel in the future on our property close to 30th Street Station,” Francis said.